Our previous pre- review post about Scoot lead us to another low cost budget airline that operates in the same area of Southeast Asia. 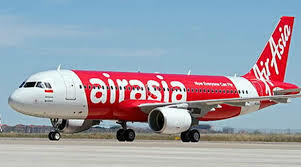 The budget airline is called AirAsia! Travellers always try to find the best options of budget airlines since they are opening up more destinations. But when you’re travelling with budget airlines, it’s important to make a good research before booking so that you know what you’re buying into before you step on the plane! 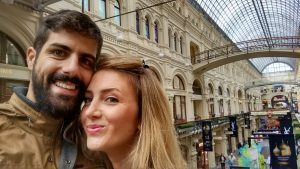 Few words about AiAsia so that you’ ll get to know the airline! AirAsia is a Malaysian low-cost airline headquartered near Kuala Lumpur, Malaysia. It is the largest airline in Malaysia by fleet size and destinations. AirAsia Group operates scheduled domestic and international flights to more than 165 destinations spanning 25 countries!!! 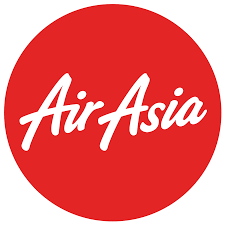 Another interesting fact about AirAsia is that it operates with the world’s lowest unit cost of US$0.023 per available seat kilometre (ASK) and a passenger breakeven load factor of 52%! The New York Times described the airline as a “pioneer” of low-cost travel in Asia. 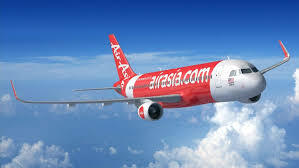 Its affiliate airlines are Thai AirAsia, Indonesia AirAsia, AirAsia China, AirAsia Japan, AirAsia Vietnam, Philippines AirAsia, and AirAsia India have hubs in Don Mueang International Airport, Soekarno–Hatta International Airport, Ninoy Aquino International Airport, and Kempegowda International Airport respectively, while its sister airline, AirAsia X, focuses on long-haul routes. First of all, it’s very important to remember that when you fly with a budget airline like AirAsia usually you get a basic ticket,, a seat and a cabin luggage! It’s not much, but neither’s the price of the ticket! From there, you can add extras on to your base fare. At all low cost carriers you can add some services for which you have to pay or prepay an ammount of money. Stuff like checked luggage, blanket, food, entertainment etc. can be chosen while booking the ticket or afterwards by managing your booking! Let’s take a closer look at AirAsia’s services! Booking can be done through AirAsia’s site! All the baggage information you need to know! Enjoy the option of Pick A Seat! Elevate your shopping experience by purchasing ‘airline exclusive’ gifts and souvenirs via pre-book or on board! Fly with WI-FI and stay connected while travelling! Is there any movies on your list that who didn’t have the timne to watch? Maybe its time to watch them with Xcite inflight entertainment! Flying in comfort is now yours to enjoy with the Premium Flatbed. And that’s not all for those travelling on AirAsia X flight since you’ll also receive many many extra perks! For you convenience AirAsia comes with a great App so that you can manage your booking easily! Furthermore the AirAsia support team is always ready to answer your questions! AirAsia has a Big Loyalty programm for frequent travellers! Redeem flights based on your flight hours with BIG Fixed Points! Last but not least AirAsia’s partnerships include Expedia Group a global travel company who owns the famous websites, which are primarily travel fare aggregators and travel metasearch engines, including Expedia.com, Hotels.com, Hotwire.com, CarRentals.com, trivago, Venere.com, Travelocity, Orbitz, and HomeAway. That was our quick look through AirAsia’s services and more! Hope you find the info useful and easy to manage! After returning from our trip we will share with you our opinions and experience while flying AirAsia for the first time.